Recently, I attended a leadership retreat organized by the Ryerson Commerce Society in Orillia for student group leaders. It consisted of team building activities, multiple seminars, breaking barriers, and a whole lot of fun in between. I also worked as a LinkedIn Profile Advisor for a year at the Ryerson Career Centre and after advising over 200 students on their LinkedIn profiles, I noticed a common trend. The problem that I found most students struggle with is gaining relevant work experience to showcase on their resumes or LinkedIn profiles. With the competitive job market, juggling a full course load and the turbulent personal struggles of a university student, I wasn’t shocked to discover this. During the retreat, every student group did a 2 minute pitch about their organization’s mission and what they do. It then dawned on me that there is an abundance of opportunities right here at Ryerson that students should take full advantage of, no matter what faculty or program you’re in. 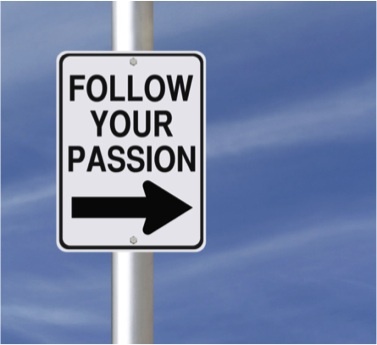 We’re constantly bombarded with cliché quotes that tell you to pursue your passion. Oprah famously coined, “Do what you love and money will follow.” Although we often brush this aside, there is some truth to it. You are naturally more inclined to excel at something you like to do. Therefore, figure yourself out and find something that complements your interests, values and connect it to your career aspirations. This step will ensure you’re on the right path in finding opportunities at school that align with your career goals. This may seem an obvious step, but you’d be surprised how many students don’t do their research before joining a club or group. The best way to find opportunities to get involved with is by following relevant social media accounts. This way, you get updates and information in real time. Sometimes, it even helps to do a quick Google search and see what comes up. After finding organizations you might be interested in, narrow it down to which ones you believe will enhance your resume whether as volunteer work or relevant work experience. Once you’ve done your research and figured out an organization that best suits your career path, it’s time to create goals. If you find something that you really want to be a part of, start to think about how involved you want to be in the group and what you want your time commitment to be. By doing so, it will help you figure out whether or not you’re taking full advantage of the opportunity. Of course, it’s not enough to just create goals. In order to ensure they are achievable, make a list of action steps that will help you reach that goal. For example, at the RCS retreat, we completed a goal setting activity that started off by writing down a mission statement that embodied WHY we decided to get involved and the ultimate outcome we hope to achieve from the experience. Then, we had to write 3-4 concrete goals we wanted to accomplish in respect to our role within our student group every 3 months. After this exercise, we were asked to write our address so that our goals would be mailed to us at the end of each interval that would act as a tangible reminder of whether or not those goals were achieved. Okay, so you’ve done your research, found something you like, and created attainable goals. Now what? Well, it’s time to start networking! Find out who is in charge of the organization you want to get in touch with, whether it’s a student leader, a faculty member, or a friend of yours and ask them how you can join the group. The recruitment cycle differs based on the organization, but most likely there will be events all year round you can attend which are great stepping stones to figuring out the culture of the group and meeting some of the existing members. If you’re seeking a leadership position within the group, the best way to showcase what you can offer is to volunteer at events or talk to those in charge to find ways where you can help. JUST DO IT. Take a leap of faith and get involved. I promise you that it will completely change your perspective on university life. Not only will you get a chance to meet new people on campus with different personalities that share the same values, but you’ll also be surrounded by like-minded people that are sure to turn into lifelong friendships. In summary, the best way to start gaining relevant experience is by using the opportunities around you at Ryerson. By participating in extra-curricular activities, you will develop soft skills which have become a high priority for companies when recruiting. In addition, experiences such as these give you concrete examples to use on your resume, cover letter, and during your interview. This way you can turn your community involvement outside the classroom into relevant experience that draws employers in while positioning you as a unique candidate. For a list of student groups, visit the Ryerson Passport Program.